ROV Innovations uses state of the art, Seamor advanced ROVs to complete the inspection or survey of a wide range of underwater assets and environments. We have had extensive experience in underwater ROV applications including underwater film and documentary, marine asset inspections, QA for underwater projects, marine biosecurity, underwater environmental impact assessments, potable water and deluge tank inspections, search and recovery, internal pipeline inspections, and marine ecological surveys. We offer daily rates as well as discounted options for projects over a week in duration. This is a demo of the VisionClear Hardware enhancing some of our pre existing 1080p30 footage. As can be seen in this demo, the VisionClear removes most of the green haze in the water, and also enhances the natural coloration that is lost underwater. The VisionClear VCE13 is a stand alone piece of hardware that can be used realtime in any video stream to enhance and optimise video footage. 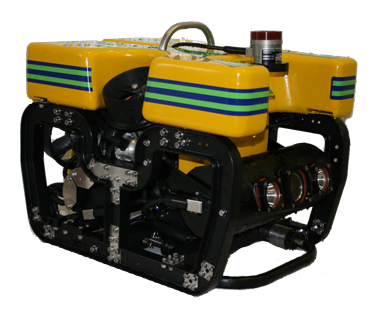 The Benefits of using one of our Advanced High Definition ROVs are many. Extremely cost effective compared to other underwater inspection techniques. ROV’s are particularly useful in situations where divers lives would be at an unacceptable risk due to environmental (temperature, depth, duration), biological (marine predators, toxic algae), or chemical factors. ROV’s are also noticeably cheaper to mobilise and maintain on a project. Our ROVs are extremely portable (4 pelican cases) and can be flown nationally or internationally to any project location. As only 2 team members are required to operate the ROV (a pilot plus a tether technician), we can be on site extremely quickly and cost effectively.